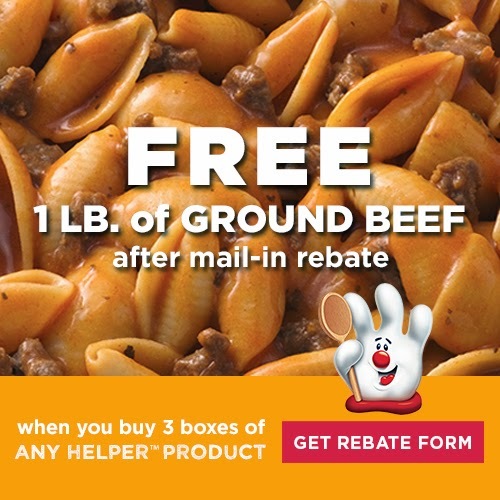 Right now, Hamburger Helper is offering a free ground beef rebate (up to $8.06)! 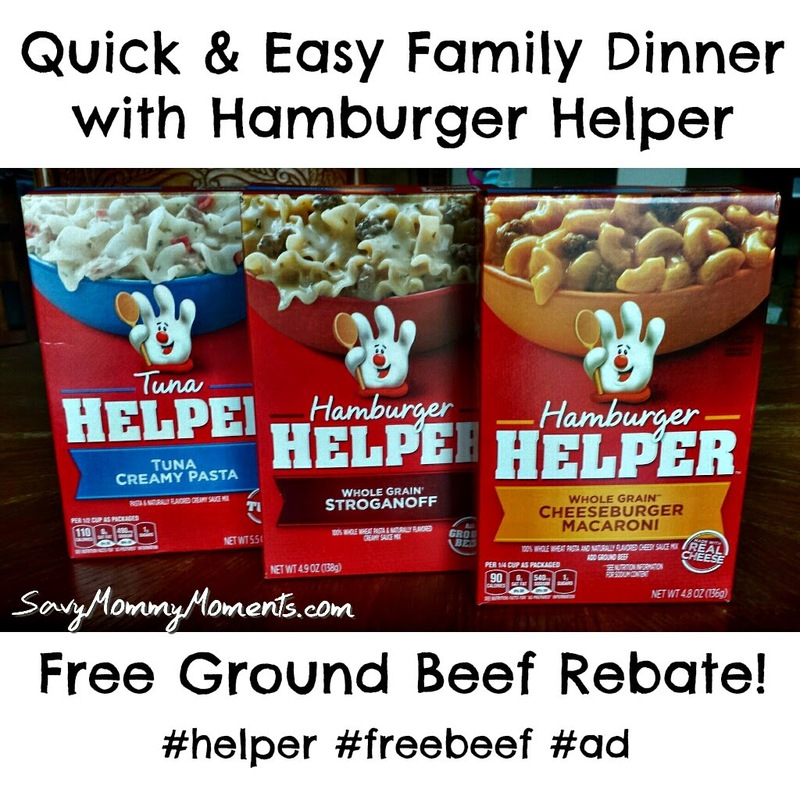 Just take a trip to your local grocery store and pick out your three favorite Helper products and a pound of ground beef, then visit this link and claim your rebate! Our store had a huge selection of Hamburger Helper products. 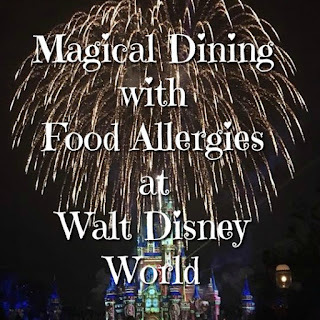 I chose three flavors that I thought our family would enjoy: Tuna Creamy Pasta, Whole Grain Stroganoff and Whole Grain Cheeseburger. I also purchased a one pound package of ground beef. Total cost (with the Hamburger Helper Rebate) is less than $6! That's dinner on the table for under $2. Budget and family-friendly! We decided to make their Whole Grain Cheeseburger Macaroni for dinner on a Friday night. Friday nights are pretty crazy for us as everyone is tired from the week and our oldest has T-ball practice just an hour after he gets home from preschool. So, this was the perfect quick and easy family dinner to make. I just browned the ground beef, then added in the rest of the ingredients (sauce mix, water, milk, noodles) and let it simmer until the noodles were tender. I steamed some broccoli as the perfect compliment and dinner was done! The kids absolutely loved it and gobbled it up in a matter of minutes! Absolute success! Helper has always been a value brand—we launched in the 1970’s to help consumers, like you, stretch their dollars while also enjoying a delicious and hearty meal. We are demonstrating our value again, in a new way, with free ground beef! 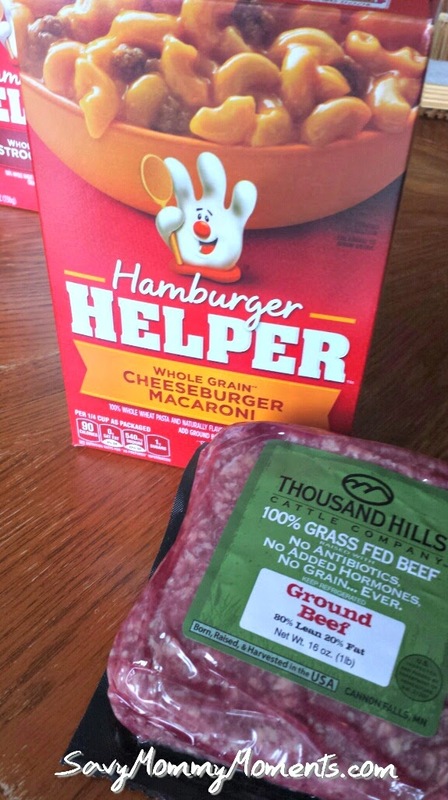 Not only does Helper help you stretch your dollar, but all of the hamburger varieties, use one pan. It’s that simple, one pan prep! 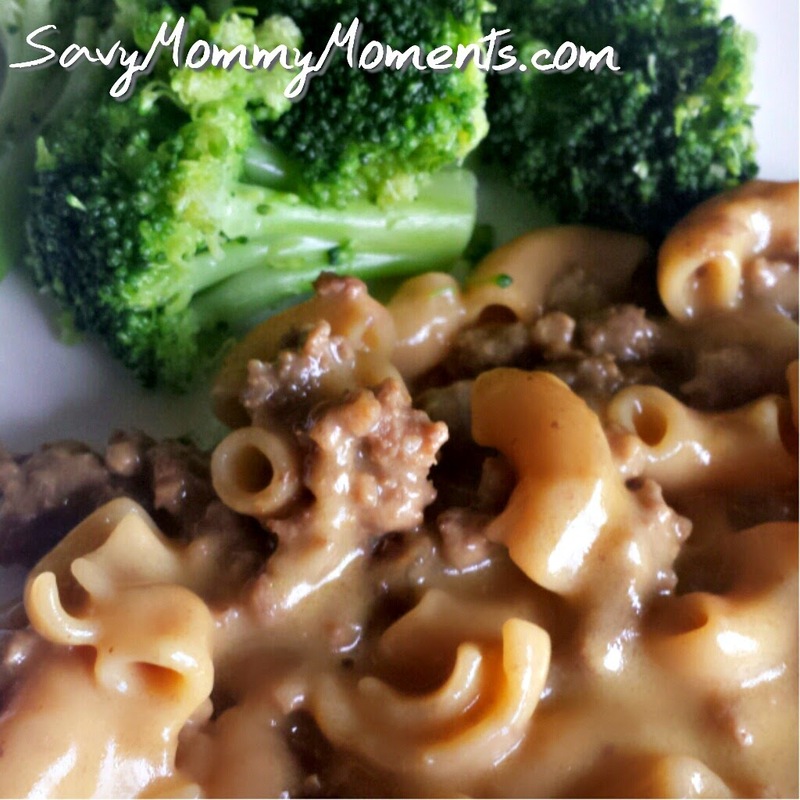 I recommend you take advantage of the Hamburger Helper Rebate and make your family a quick & easy value meal tonight!